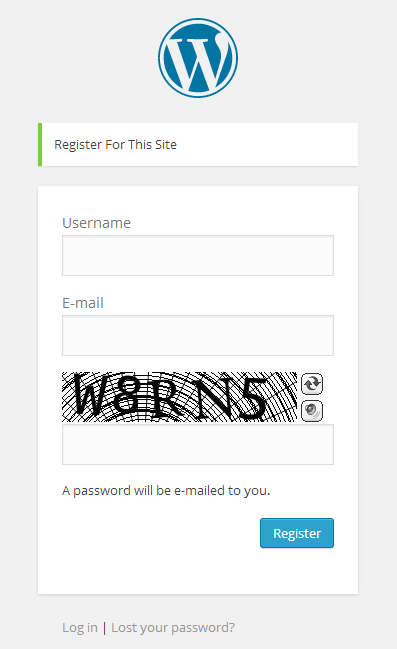 The BotDetect PHP Captcha WordPress plugin allows easy integration with the WordPress User Registration form. Adding Captcha protection to account registration attempts is an effective way to prevent bots from automatically registering a large number of trash accounts for spamming purposes. If you haven't done so already, install and activate the BotDetect PHP Captcha WordPress plugin first. You did it! When you open the User Registration form you should see it the Captcha field just above your Register button. Only human visitors who successfully solve the Captcha challenge and retype the correct Captcha code will be allowed to register a new user account, while bots will be prevented from creating accounts. If left unchecked, bots can automatically create thousands of trash user accounts and misuse them for spamming purposes. By requiring Captcha validation for each individual account registration, the volume of user accounts the spammers can create is significantly reduced. To remove BotDetect Captcha protection from the User Registration form, simply uncheck the User Registration option shown above. 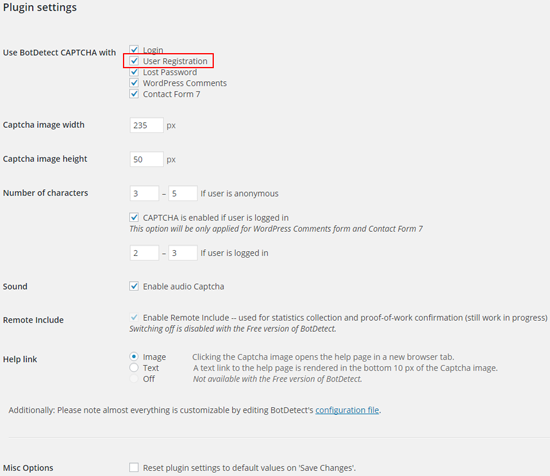 To change Captcha appearance and other options, check the BotDetect PHP Captcha WordPress plugin settings.